Here's a workaround that lets you apply linear FOV, or something very close to it, to GoPro's RAW photo format. If you want to shoot in GoPro's RAW photo format (GPR), you're limited to shooting in the Wide field of view mode. 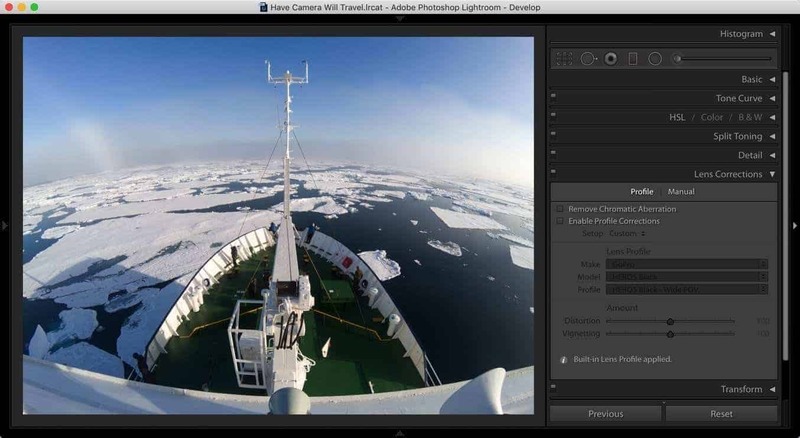 The Linear field of view, which corrects for the fisheye distortion of the GoPro lens, is only available when you shoot in JPG. 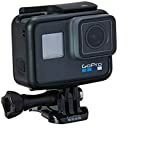 But there are good reasons that many people, myself included, much prefer to shoot in the RAW file format offered in newer cameras like the GoPro HERO6 Black and HERO5 Session. So here's a workaround that lets you apply linear FOV, or something very close to it, to GoPro's RAW photo format. It uses Lightroom's Lens Corrections feature. It's pretty straightforward, but here's a quick rundown. Open the GPR file in Lightroom's Develop module, as you normally would. In the set of panels to the right, scroll down to the Lens Corrections panel. Make sure that the Profile tab is checked at the top. Check the box next to Enable Profile Corrections. So long as you're using a fairly recent version of Lightroom, it should have GoPro lens profiles built-in and detect them automatically. The adjustments to the FOV are made with the Distortion slider. By default, it will start at 100, which results in a field of view similar to GoPro's built-in Linear FOV. You can see in this example that the horizon has been mostly, but not completely straightened, and some of the image has been cropped from each side. 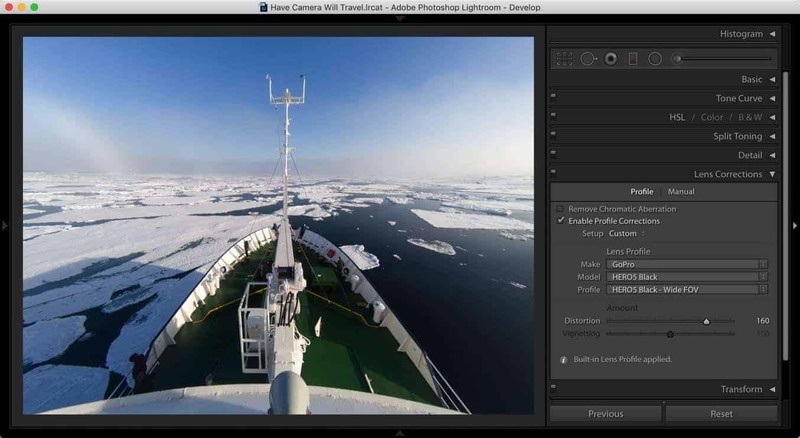 The distortion correction algorithms that Lightroom uses are similar but not identical to the in-camera algorithms of GoPro's Linear FOV. But they're similar enough for most uses, and the added flexibility is a bonus. This method obvious relies on you using Lightroom. It's entirely possible other RAW processing apps might be able to do something similar, but I haven't tried them. If you need to apply the same distortion correction to multiple photos, perhaps shot in a sequence, you can easily do that with Lightroom's Sync Settings function.